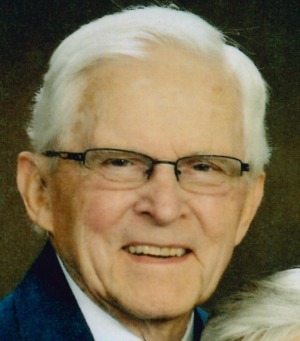 C. Donald Grason, 89, of Homestead Village, went to be with his Lord and Savior on December 3, 2017. He was the husband of Nancy S. Rentschler to whom he has been married to for 66 years. A graduate of Millersburg High School, he was First Trumpet and Student Band Leader. After hearing that Jesus Christ was a carpenter at the age of seven, he decided that would be his occupation. He worked for Contractors N.I. McCord, Sam Long, and John Hogan before self-employment in 1954 building homes, additions, and remodeling until retiring in 1992. He was assistant Boy Scout Leader, volunteer and President of the West Lampeter Fire Company, Chairman of the Zoning Hearing Board, and LGH Rehab volunteer. As a member of Community United Methodist Church, he taught Sunday School, was assistant treasurer, Lay Leader, Chairman of the Pastor Parish Relations Committee, Administrative Board and served on a mission’s trip. He later attended Calvary Church, playing in the orchestra and serving as an usher. He enjoyed singing with the Red Rose Barbershop Chorus, voted Barbershopper of the Year in 1997 and 2003, and played cornet in the Lampeter- Strasburg Community Band. After moving to Homestead in 2006, he continued his passion for helping people, working in the woodshop and volunteering at Schreiber Pediatrics. A devoted husband and father, his family shared his love for boating, water skiing, fishing, and going on beach vacations. In addition to his wife Nancy, he is survived by his two daughters; Donna N., wife of E. Michael Ames of Strasburg; and Connie M., wife of James Metzler of Ronks; and a granddaughter, Lora Metzler of Leola. He was preceded in death by a grandson, Travis “Boomer” Metzler of Strasburg. Friends and relatives are respectfully invited to a visitation Monday, December 11, 2017 from 6-8 PM and after 10 AM Tuesday December 12, at Calvary Church, 1051 Landis Valley Rd. Lancaster, PA 17601. Funeral Services will be held Tuesday, December 12, 2017 at 11 AM at Calvary Church. Interment will be at Boehm’s United Methodist Church Cemetery in Willow Street, PA. If desired, memorial contributions may be sent to Schreiber Pediatric Rehab Center, 625 Community Way, Lancaster PA 17603. Don was one of the finest people that has ever walked through the doors of Schreiber Pediatric. His many years of dedicated service as a volunteer and supporter of the staff and the thousands of children and families who depend on Schreiber will have a positive impact on so many for generations to come. His kind words and deeds always left a smile on every face. Schreiber and the world we live in are better places because of Don. Thank you our dear and dedicated friend. Sincere sympathy to Nancy and all the family. My thoughts and prayers are with you. My sympathies as you lay Don to eternal rest. He passed on the anniversary of my birth, and I share his name. He lived a long life of service to others, truly a life to emulate. Loved his barbershop quartet singing, wish I could do that. May God’s blessing be with you all. My sincere condolences to the entire family. Don was a true mentor to me. He taught, guided, and set me on my faith path in life 40 years ago. I always looked up to, and respected him. He did it right. To Nancy and the entire family. My sincere condolences to you all. I first met Don when he repaired some chairs for me down in the woodworking shop. I became better acquainted when he and my husband were patients over in the Radcliffe House several years ago. Don was one of the nicest guys I ever met. He is going to be truly missed by so many people. My thoughts and prayers are with you all. We send our sympathy and love on behalf of the Steiner family. He was truly a wonderful man and it was a privilege to have called him our dear friend! May God wrap you in his love and peace during these difficult days. We want to express our condolences on the passing of your dad. He was such an accomplished, kind, skillful man of integrity. I know Ted enjoyed working with him. Our hearts go out to you, as I know he will be greatly missed. Sorry we could not attend his services due to illness…but we have been thinking of you.